The home of the Great Arizona Puppet Theater is an important Phoenix landmark. Built in 1929, the beautiful Phoenix LDS 2nd Ward Church was purchased by the Highway Department in 1972 for construction of I-10 and targeted for demolition. Public outcry saved the building and it was placed on the National Register of Historic Places. 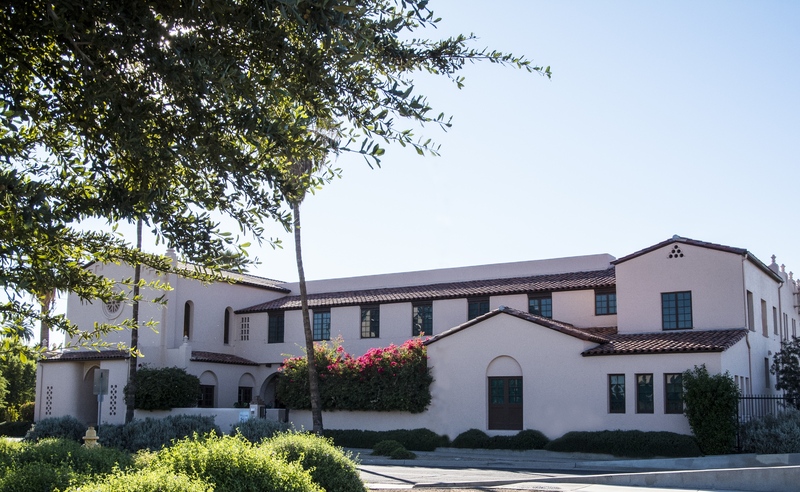 The building is an outstanding example of Spanish Colonial style architecture and was designed by the famed architectural team of Burton and Pope. Features include a domed ceiling arising from Moorish columns, stenciled and hand-painted decorative motifs on ceilings and beams throughout trhe building, and a lovely courtyard overlooking the Margaret Hance Deck Park and downtown Phoenix. The theater bought the building in 1996 when it was in general disrepair and started the long process of renovation. Three years later the former chapel was opened as the performing space. Another three years of work enabled the puppeteers to open the former social hall as the auditorium. The chapel now serves as gift shop, lobby and exhibit area. Also on site are workshop areas for puppet construction, puppet storage, office for the puppet theater, birthday party room, a puppet library and a guest room for visiting guest artists. 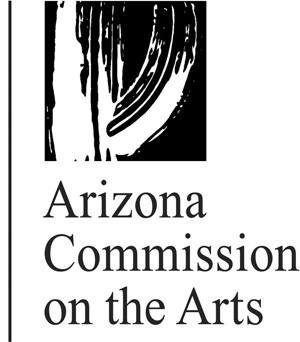 Great Arizona Puppet Theater is a non-profit professional puppet theater founded in 1983 as a touring company. The theater is open to the public 5 days a week year-round with shows for children and adults and also tours throughout the community serving a total audience of 85,000 annually, mostly children. GAPT has received the Mayor's Environmental Award for Education, numerous Best of Phoenix awards and the UNIMA-USA Citation for Excellence in Puppetry. The Great Arizona Puppet Theater is proud to be a part of the Puppeteers of America. Please visit the Puppeteers of America website if you are interested in more information about puppeteering or becoming a member yourself. New Times Magazine named us "Best Downtown Building to Poke Your Head Into" in 2007. New Times Magazine named us "Best Entertainment for Kids, Strings Attached" in 2005. New Times Magazine named us "Best Off-the-Wall Gift Shop" in 2004. New Times Magazine named us the "Best Children's Theater" in 2003. "The Hands Behind the Great Arizona Puppet Theater"
A listing of some of the best places in Phoenix to host your child's birthday party. "Imagine This! Spurs creativity in Kenilworth Students"
An interview with KJZZ about our Adult Puppet Slams. "Summer Fun with Puppet Play"
"Local Business Spotlight." An in-depth review of one mom's visit to the puppet theater. An interview with director and co-founder, Nancy Smith, about our Adult Puppet Slams. "Family Fun." An in-depth review of one family's visit to the puppet theater to see The Princess, the Unicorn, and the Smelly-Foot Troll.